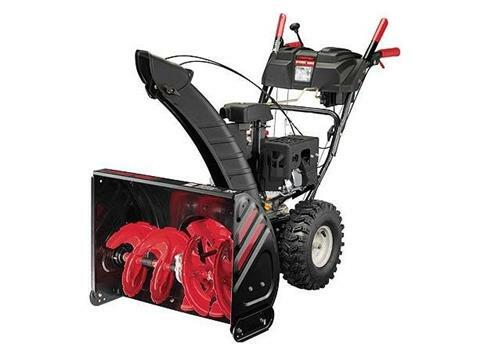 The Storm 2690 XP two-stage snow thrower features Just One Touch™ electric 4-way chute control. The electric finger tip control is conveniently located and allows you to adjust the direction of snow discharge without having to move a hand. The Storm 2690 XP two-stage snow thrower also features a 26 inch clearing width, Touch 'n Turn® power steering and heated hand grips, plus an in-dash headlight and reflective strips for greater visibility in low light. It's easy to start, easy to operate and so solidly constructed, it's easy to see why this two-stage snow thrower will tackle winter's toughest tasks and still be around for years to come.